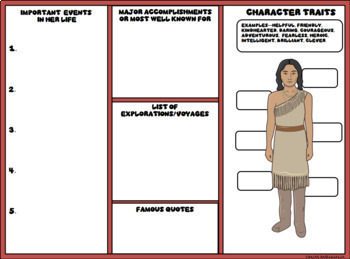 Your students will enjoy reading and researching about Pocahontas. 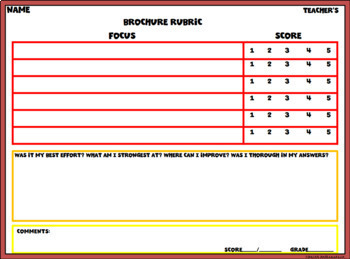 In this activity your students will read online web information to create a brochure. 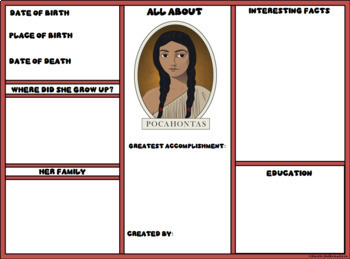 This activity is wonderful for the 21st century classroom as your students will be excited and engaged as they practice identifying nonfiction facts to fill in information in order to create a digital brochure. This paperless activity is formatted so that your students have everything they will need in one place. I include several research links. This product will be accessed as a link in a PDF file. You will need to be signed into your Google account. Next you will need to click on the link and you will be prompted to "Make a Copy". You can rename the file. In this PDF. Activities include reading and summarizing online information, completing graphic organizers, summarizing text, creating a brochure. 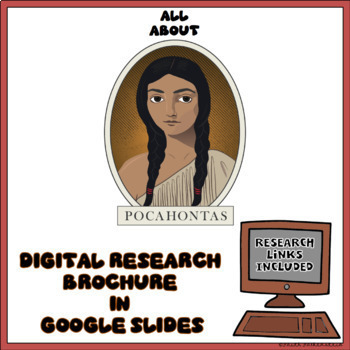 Purchase of this download is for personal classroom use only. This means you may use this product with all students that you personally teach. Additional licenses are available at a discount price through my store. Please do not take any part of this item and claim or resell it as your own. Redistributing, editing, selling, or posting this item on an unsecured system on the Internet beyond the scope of your classroom are prohibited without permission from me. Violations are subject to the penalties of the Digital Millennium Copyright Act. Please contact me if you wish to be granted special permissions.